“The Future of Holocaust Memorialization,” a publication of the Tom Lantos Institute edited by CEU Professor Andrea Peto and Associate Professor Helga Thorson of the University of Victoria, focuses on new ways of teaching the Holocaust. U.S. 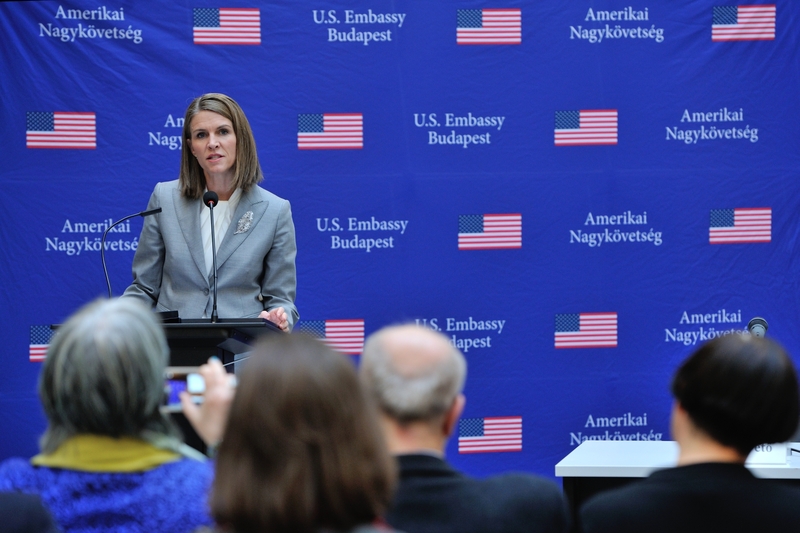 Ambassador Colleen Bell was among the speakers at a book launch event at CEU May 21. “Even today there is some dispute in the Hungarian public discourse over what really took place during the Holocaust. Some even question the basic historical facts,” said Bell, adding she is fascinated by the perplexity of the historical debate that she sees “too often reflected in the news”. The book, the full title of which is “The Future of Holocaust Memorialization: Confronting Racism, Antisemitism, and Homophobia through Memory Work,” builds on the results of a conference co-organized by CEU and the Tom Lantos Institute in 2014: a meeting of professors, scholars, museum directors, and activists involved in memorial projects. The book explores innovative teaching practices in higher education as well as bold and creative civic and institutional initiatives. 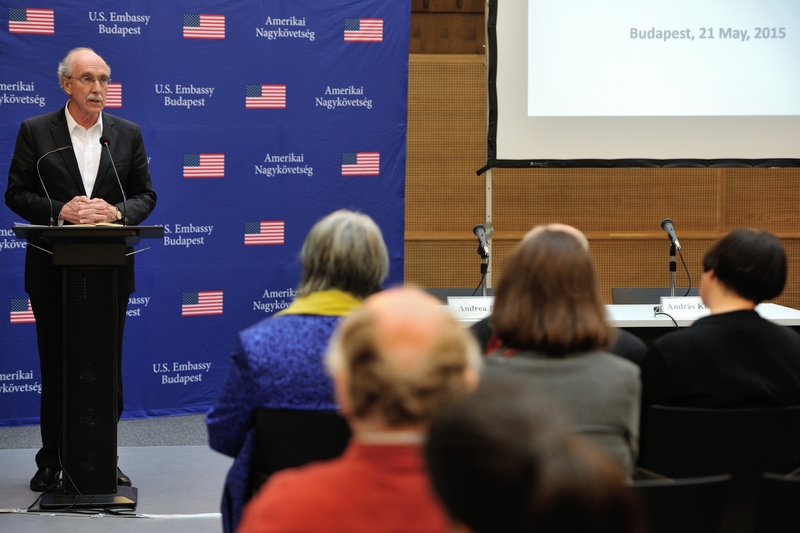 He noted that the publication was created for the 70th anniversary of the Hungarian Holocaust, and also called for the commemoration Tom Lantos - member of the U.S. House of Representatives for 27 years, and the only Holocaust-survivor in the Congress - and his achievements in his lifelong campaign for human rights. Anna-Maria Biro, director of the Tom Lantos Institute, noted that it was the Holocaust that pushed the international community to establish an international human rights organization. She also called for the introduction of a robust human rights and citizenship education program in Hungary, the reinvigoration of Holocaust education and the establishment of non-ideological issue-based platforms to deal with issues concerning citizenship, human and minority rights. 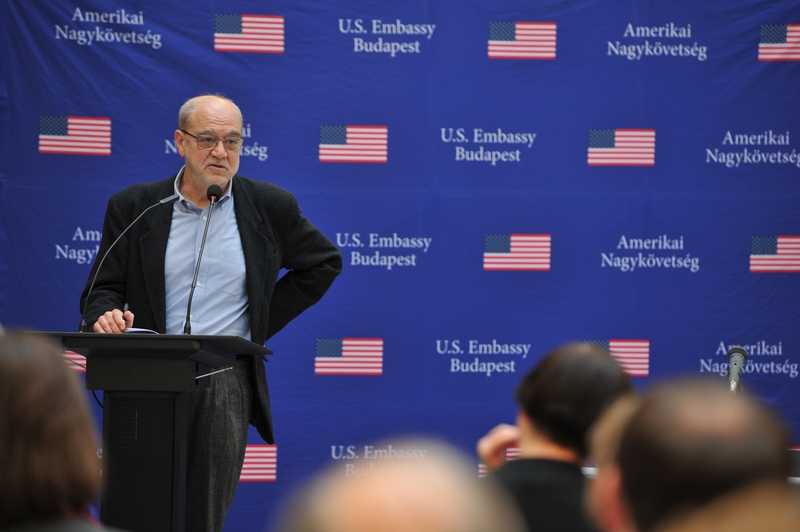 Biro said that Hungary should acknowledge its responsibility in the deportations, quoting historian Laszlo Csosz, who states that German occupation was “necessary, but not sufficient to realize the deportation of Jews”, and that 200-300,000 Hungarian public officials actively participated in the deportations. Before the 1990s, a simplified narrative existed in the public discourse in which “Jews were innocent victims of the Nazi Germany,” Kovacs said. It was only later that French Prime Minister Nicolas Sarkozy and other leading European politicians started to speak about national responsibility in the Holocaust. Highlighting the conclusions of the book, Kovacs said that cyberspace is the new stage for Holocaust memorialization, and with its openness and accessibility, it can revolutionize interaction. “Different clashes of personal and group memories became possible,” he said. 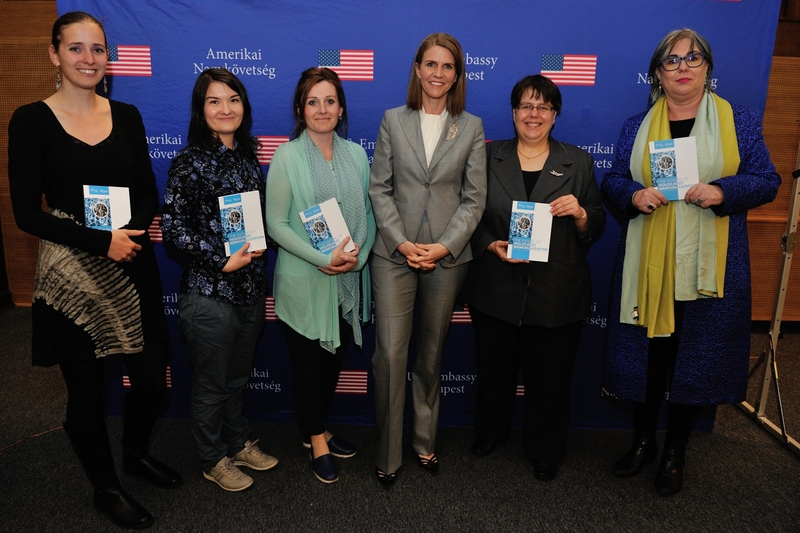 Colleen Bell, Andrea Peto and Helga Dorner with contributors of the book "The Future of Holocaust Memorialization"